The South Seas Revised Edition features the work of some of the best photographers in New Zealand. These are combined with short pithy stories that offer a glimpse into our favourite beaches, surf history and characters of New Zealand’s surf culture. 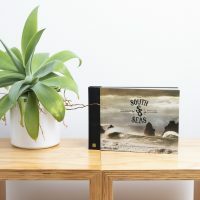 The South Seas Revised Edition came out of the Photo CPL Media stable in late 2017, and uses the same formula and branding as the first one, which was first printed in 2012, then reprinted in 2014. I actually felt like I had seen it – I’m glad I didn’t dismiss it, because I would never have realised just how different this book is. 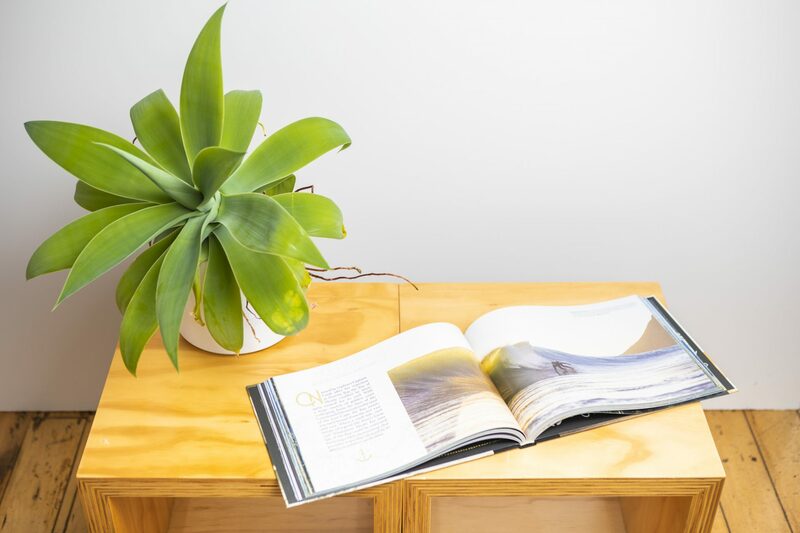 There are commonalities in the design and with some of the introductory pieces but close to 80 percent of the images are fresh ones and the quality of the photography is what makes this book such a must-have for any Kiwi surfer or surf traveller. The book traces an arc from the early pioneering surfers of New Zealand with acknowledgement of the early Maori who used kopapa (a canoe or plank used to ride waves) in the 1800s and right through to the surfing displays by Duke Kahanamoku in the summer of 1915. It progresses to the stories of the arrival of Californian surfers Bing Copeland and Rick Stoner in 1958, with their modern board designs in tow, heralding the birth of modern surfing here. 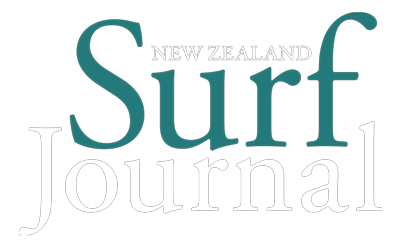 The authors then offer a colourful insight into surfboard manufacturer Denis Quane, of Christchurch, a pioneer in his own right, and then shine a light on the late great Bob Davies with an informative piece from Bob’s good mate, Mike Court. It’s not all history. Sure, it delves into the evolution of surfboards in New Zealand, looks at the cars that defined the culture and features some colourful characters before exploring the schizophrenic nature of our weather and what that means for a travelling surfer. A final chapter on stoke bookends the matt-paper section of the book and the pages take on a glossy sheen as you enter a portal to New Zealand surfing simple entitled: The Adventure Begins. In a beautifully presented visual roadtrip around New Zealand, the authors have brought together a collection of stunning images of some of our most revered breaks. They haven’t held back on naming some of our classic lineups and I had that familiar pang of disappointment with some of the lineups I’d prefer to have remained beneath that cloak of obscurity. Nevertheless the photographers have captured them in such good light that you might spend a lifetime hoping to see them breaking like that. That’s spelt out in this book – the moments are rare and fleeting. For me, that makes this book even more worthy of a prime spot on my coffee table. Book Description : The most ambitious surf book to come out of New Zealand. The original lavish 208-page hard cover book pooled the best photographs from New Zealand’s leading surf photographers; the best of the best. 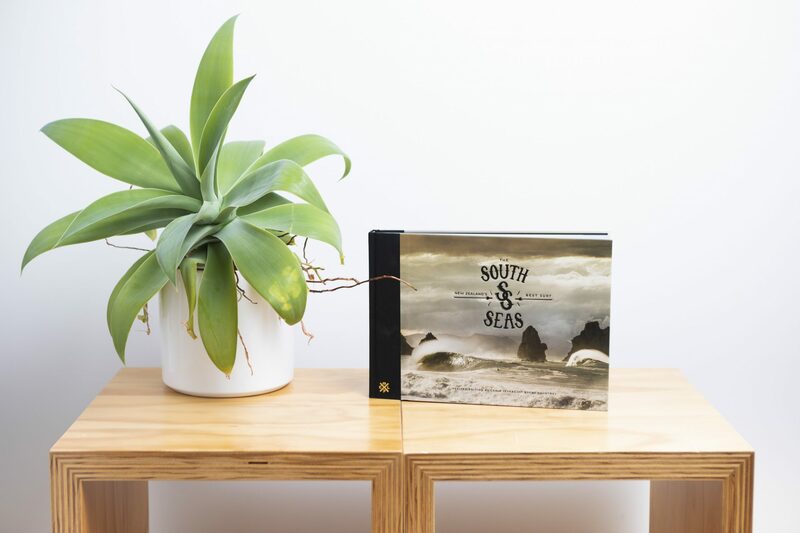 A beautifully presented collection of New Zealand’s waves and surf from the Far North to the Deep South. The first edition sold through two print runs. The Revised Edition has 16 more pages (it's a 224 page book now) and overhauled the complete photo edit with more than 80% being updated. The perfect addition to anyone who fell in love with the first edition of The South Seas or for any surfer even mildly curious about what may lay around that next headland. 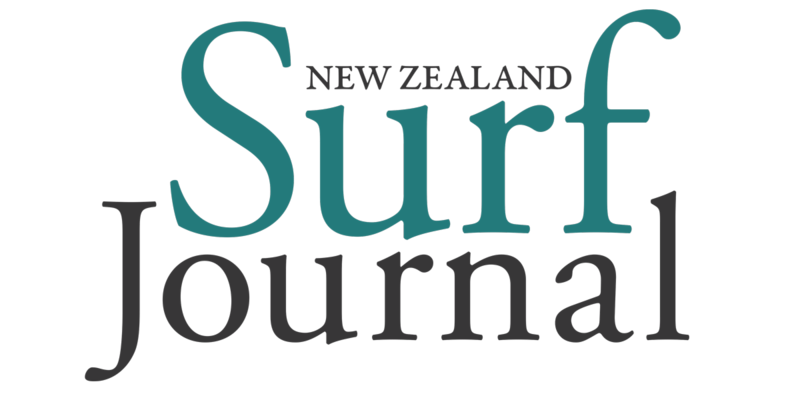 Travelling surfers will particularly enjoy this tome as it gives enough insight into New Zealand surf history and culture to enable respect and then it contains enough clues to where the best breaks may be discovered.